BRM The car enthusiasts must have watch. Categories: BRM, Watch Blog, Watch Brands, Watch Spotting | Tags: BRM | Permalink. 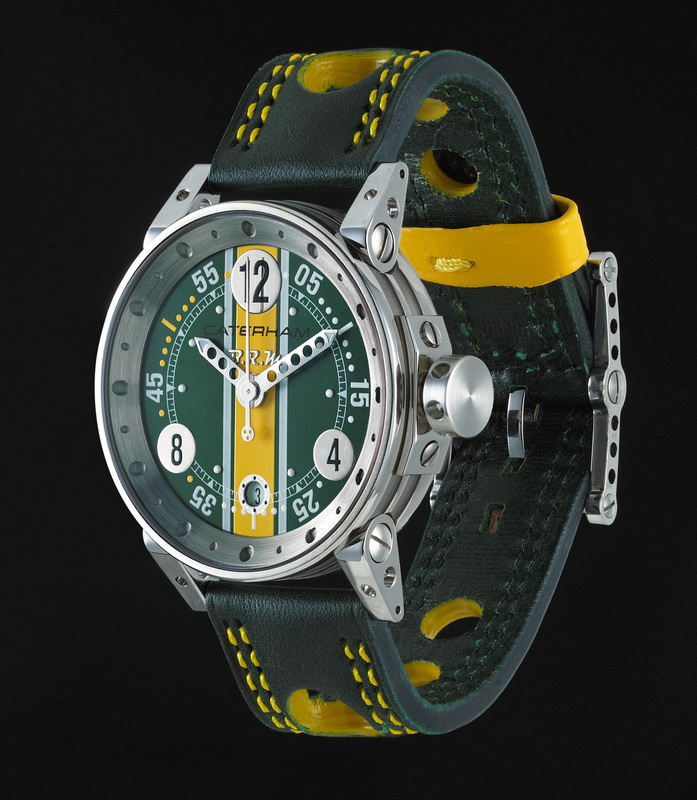 We were lucky enough to see these watches on the BRM stand at the 2012 Paris Motor Show and instantly fell in love with the Caterham BRMs. The colours are simply amazing and Lady Peanut tried the 38mm version on. Frankly on her small wrists it was perfect. The 38mm for many would be small but for the smaller ladies’ wrist it gave a fantastic big watch look on a face that could be easily read. This is a big gripe with Mrs P – why are ladies’ watch faces so small and hard to read, especially when the eyes begin to fade after a certain age! For Chrono fans the V12-44 is a must and the three pushers on the side look very business like. Buying one of these gets you into a very exclusive club as they are limited to just 70 of each version. Without doubt this is the most desirable watch we have seen for Mrs P such a shame that the exclusivity comes with an exclusive price! 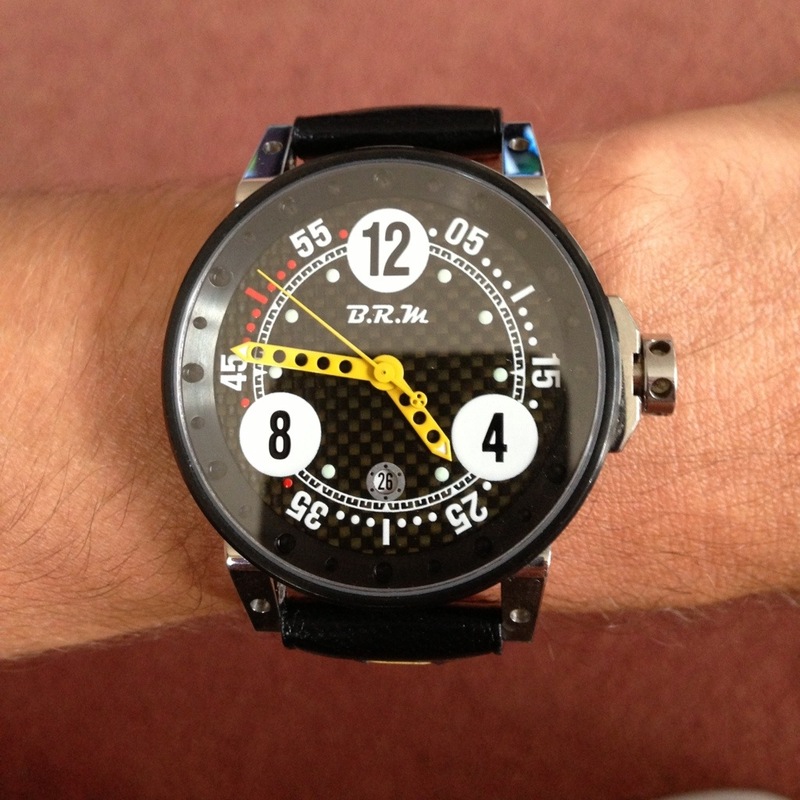 Mind you BRM do deliver on service, as while we were there my Son-in-Law Fandango ordered a new strap for his BRM, which they custom made to fit his wrist size and at the same time they gave his watch a free service as he mentioned that the timekeeping was a tad off. A handshake from the big boss himself and fantastic service from Charles on the stand and we were all smitten with BRM. Yes he could have sold all four of us a Caterham BRM if only we had the money! 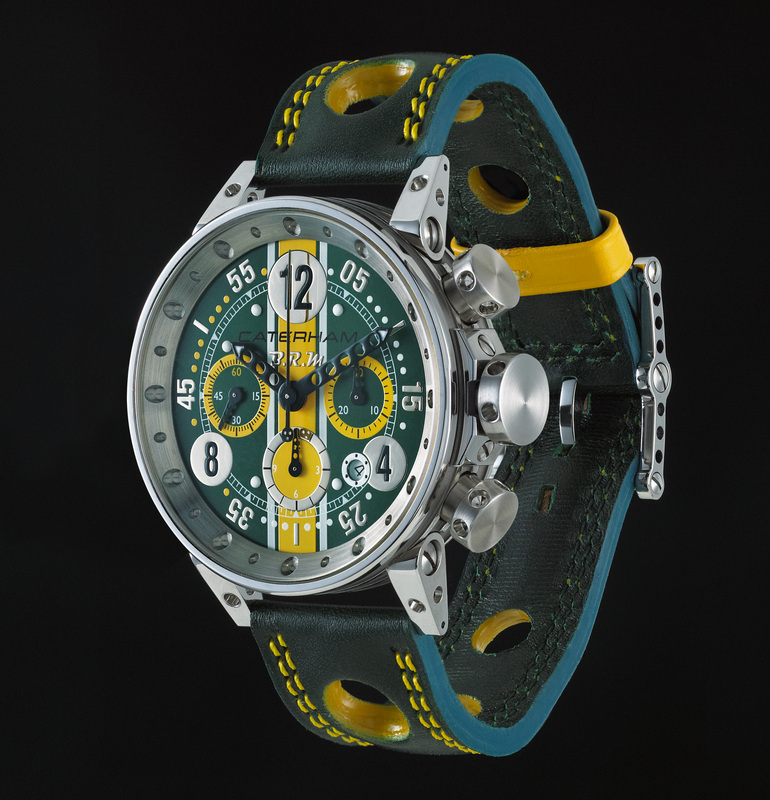 Categories: BRM, Watch Blog | Tags: BRM, Caterham, watch, watches | Permalink. 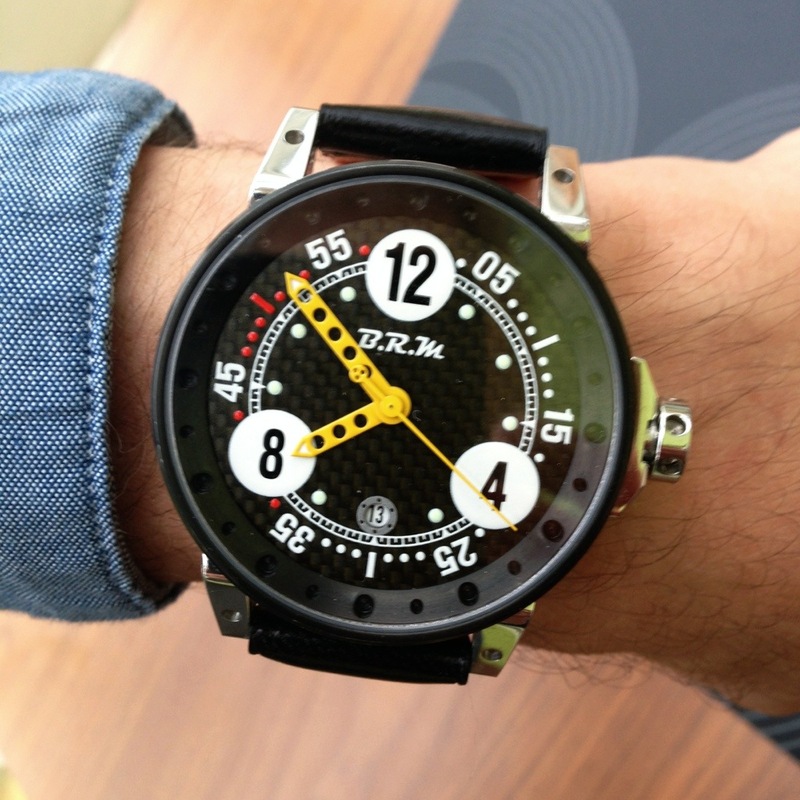 Categories: BRM, Watch Blog, Watch Spotting | Tags: BRM, watch, watches | Permalink.